The Real Estate Board of Greater Vancouver (REBGV) reports monthly on the Greater Vancouver Real Estate Market. The REBGV also breaks down the market statistics into regions such as Vancouver West and Vancouver East. The Market Update Report includes: New listings for detached, attached and apartment properties in Metro Vancouver, residential property sales in Metro Vancouver, the MLS® Home Price Index composite benchmark price for all residential properties in Metro Vancouver, the sales-to-active-listings ratio. Monthly Market Update Video by the president of The Real Estate Board of Greater Vancouver. The video presentation covers the listing and selling activity of the month presented. Insight into the market focusing on the sellers and buyers and the demand on homes. RE/MAX Crest Realty SnapStats compares the real estate market, of detached residences, townhouses and attached residences for the Metro Vancouver area, with that of The Reak Estate Board of Greater Vancouver. This comparison shows how RE/MAX performs on an average per associate REALTOR. The Stats break down the areas to: Westside, Eastside and Downtown. Click Here for RE/MAX Western Canada Fall Media Kit. Real Estate Board Simplified Market Statistics? Les Twarog Team used the SnapStats® Market Info. SnapStats® recalculate, restructure and simplify Board statistics each month with a SINGLE PAGE summary for each city or real estate area with TEN fundamental differences. This means better information in marketing your home. A monthly news letter from the Les Twarog & Sonja Pedersen team goes out to 3000 people monthly. The news letter covers topics like friendship, integrity, real estate news, the real estate market, tips on buying and selling and upcoming events. Each month Les has his feature listings posted and insights into special buying and selling problems. Click Here For News Letters. Les Twarog has been in Real Estate since 1988 and during that time he has honed is skills and nurtured a reputation that is next to none. He has achieved many awards, citations and commendations over the years. Click Here To View Les' Achievements. Les Twarog posts building news articles on his www.bcforsale.net website for you to keep up with what is new, upcoming and past buildings. Click Here For News Articles. Les has an extensive library of real estate related videos on YouTube. Click Here To View One Or Two. We have been collecting real estate related news articles, technical news articles, real estate legal articles, non-real estate articles, restaurant articles, strata information articles and renovation info articles for the past 15 years. 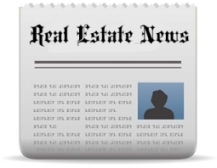 Need an out of print article relating to real estate Click Here To Search. You might get lucky. On Landcor Data Corporation we find faster, more direct access to property data as well as a broad selection of assorted market information gathered from various sources. Information is power. Here you will find British Columbia residential sales summaries quarterly and the new "Extra" Intracorp magazine. Click Here For Reports. Mortgage information from the government informing BCers about trends and updates. A comprehensive analysis of the multifamily real estate market in Metropolitan Vancouver? The Fifth Dimension is a report on the multifamily residential real estate market in Metro Vancouver.? Metropolitan Vancouver refers to the area from West Vancouver to Aldergrove. The focus of this study is limited to the multifamily market.? Subscribe me to future email information regarding real estate. Copyright© 2017 RE/Max Crest Realty (Westside). All Rights Reserved.